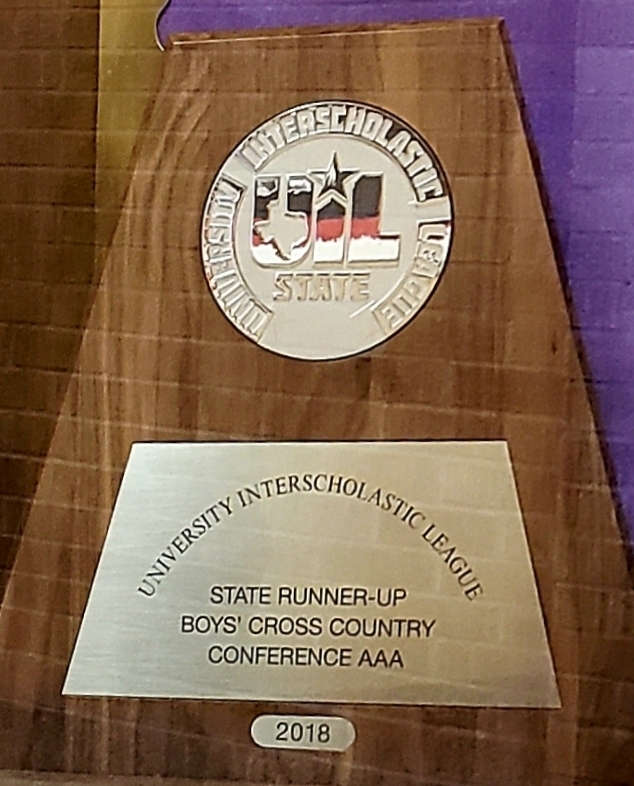 State Team Brings Home Silver - On November 3, 2018 the boys Cross Country team competed at the UIL Division 3A State Championships. Earning silver at the state meet has given them the distinction of being the highest placed cross country team in school history. Congratulations to the team for their hard work!